WordPress is a popular choice among web designers for creating easy to use and customize websites that even look beautiful. It is only a matter of a few clicks to create a website with WordPress. WordPress is easy to use, in fact, so easy, that even a non-tech person can get a website up and running in no time if he can find, read and follow step by step guides available on the web. Creating a website with WordPress is just the start. 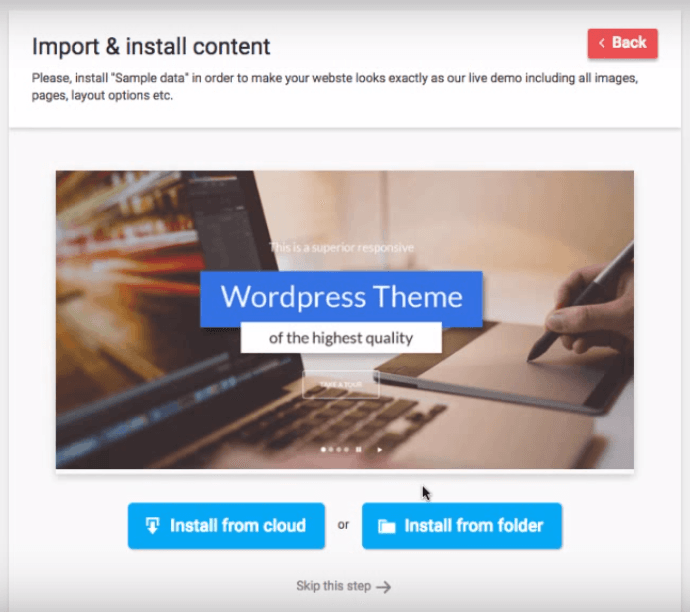 If you really want to create something that can get your customers to trust you and view you as an authority, you got to take a few more steps than just installing WordPress. Now, you can easily add any feature to WordPress with the help of a plugin, if you want something done in WordPress, there are good chances that there is at least one plugin out there that does what you need. But, when you’re getting a real physical business or even an online business in front of the world with a website, you need to make sure that the whole user experience of your business flows through your website. A visitor should be able to differentiate your site on more than one factor from others. The website needs to be a natural extension of your business, not a separate entity, and with WordPress it is all quite achievable. The only problem is with finding the perfect theme for your WordPress website. With thousands of options in the market, it is quite confusing out there. But, the fact is, there are only a few options when you’re looking for something that can grow with your business and fit with any kind of requirements. The multipurpose theme that I am going to review in this post is called the Monstroid Theme developed by Template Monster. Template Monster has taken a big step and has developed something that competes with the already established themes like Avada, X and Divi. Monstroid is one of the few good multipurpose WordPress themes in the market; it is the perfect choice for almost every kind of purposes. If you’re a web-designer, Monstroid is something that has the potential to change the way you’ve been designing WordPress websites. So, let’s just dive right in and find out how this incredible theme can help you achieve everything that you’ve ever wanted. Monstroid says; “Build Anything” and the Cherry Framework 4 that it is built on makes it possible. Cherry Framework 4 is one of the lightest and fastest frameworks for WordPress. With 15 child themes being added to the list every month, you can create a website in any niche for any purpose and the whole research work for what web design suites that niche will be done by Template Monster. So, without further ado, let’s get started by talking about some features of Monstroid theme. The Monstroid theme comes packed with a range of premium plugins that otherwise would have cost you separately. Keep reading to find out some of the awesome features you’re getting as a part of the Monstroid theme. As I’ve already mentioned in the post earlier how the Cherry Framework makes Monstroid an amazing product. Cherry Framework is what gives Monstroid the solid and easy to use structure and makes the whole task of managing a matter of clicks. 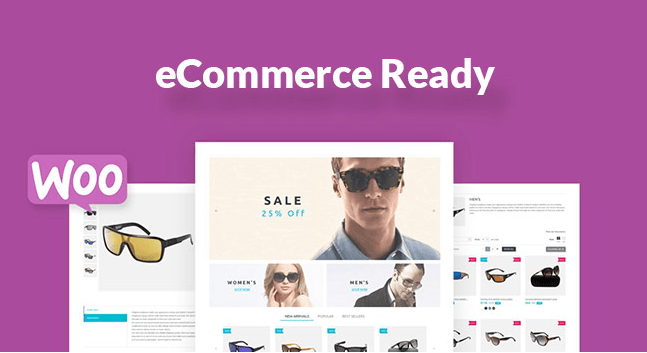 Monstroid is the ideal theme for creating online stores, it is a full WooCommerce theme. You can get your store up and running in a matter of minutes. Features like CSS Minifier make a WordPress side load faster. It compiles all CSS files into one making your website load faster. 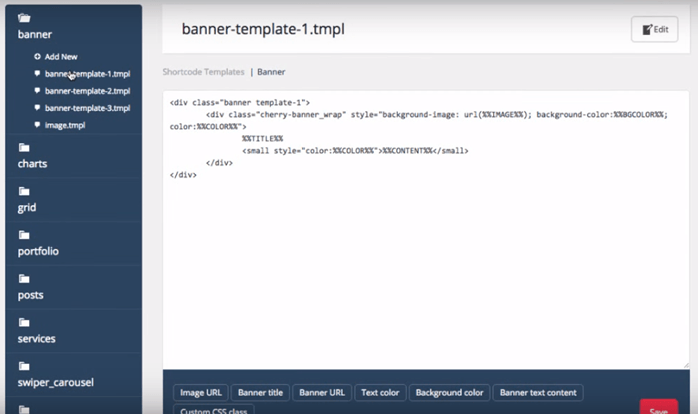 The MotoPress page builder lets you create stunning pages and posts with a simple drag and drop editor without having to write a single line of code. MotoPress Editor is a premium plugin that you’re getting for free as a part of the Monstroid plugins bundle. Monstroid slider is a great way of presenting your content beautifully in front of your viewers. You get the Cherry simple editor and MotoPress slider, and you can choose either of them. They have a number of child themes in store for you to explore. Create a stunning website in any niche. At the time of writing this review, Template Monster has published 18 child themes in niches ranging from Finance to Furniture. Template Monster has promised to add 15 templates per month for Monstroid. If you’re the kind of person that likes to play with Photoshop, then Monstroid has got something for you. You get 100+ layered PSDs, all yours to use when you buy the Monstroid theme license. Monstroid boasts multiple layout options that let you define the rigid core structure of a web page. 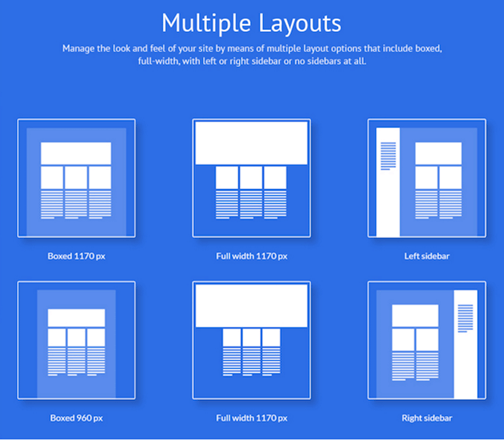 You can have boxed structure or full width designs. Choose the perfect layout that suits your niche and develop a beautiful website on it. This is something where Monstroid takes a big edge over the competition. It is designed keeping in mind Google’s guidelines, which means that the theme is SEO friendly to the code. It also follows all the standard mobile design guidelines that make it the perfect multipurpose theme. It is worth mentioning that you’re getting their expert support 24/7 when you buy the Monstroid theme. The theme documentations are well written so you’ll probably get all your answer their only. Monstroid is not just the 10 things I mentioned above in this post. There is plenty more to it, likeBackground Video, Google Fonts, Compatibility with Popular Plugins (bbPress, Yoast, BuddyPress etc. ), and Chartsetc. There is a long list of plugins and you can find the whole list on Monstroid Plugins Page. The installation process is different from other themes, but it is something fresh and fun. The rest of the process of creating something with your own hands is just a matter of time with the Cherry framework. The innovation starts with the Installation Wizard. 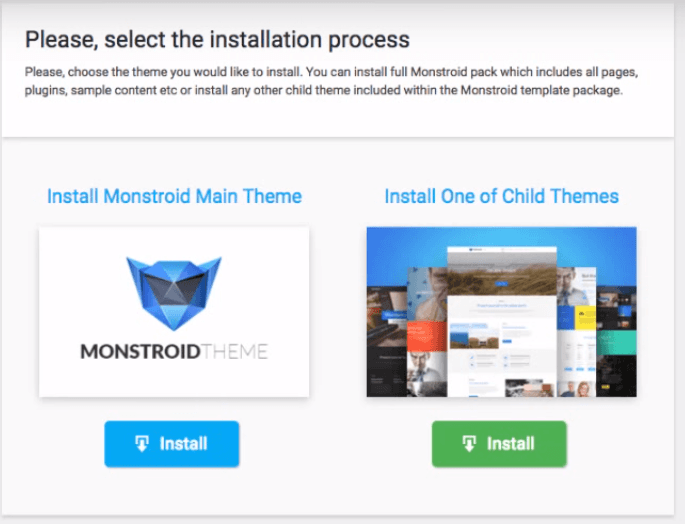 Unlike other themes, Monstroid theme can be installed through a convenient theme installation wizard. You just upload the Monstroid Installation Wizard plugin just like any other plugin and then let it be in charge of the installation process. You just need to enter the Activation Key to start using it. To install the full version of the theme, you need to click the first option. Once you do that, the installation process will begin. All that is included in the package will be installed during the process. We will learn more about the stuff that comes bundled with the theme further in this post. You can install the sample data, by doing this, your website will look exactly like what you saw in the demo on the Template Monster website. You can install the demo content with the click of a button, “Install from Cloud”. Go to “Tools>Monstroid Wizard” in your WordPress dashboard. It is quite convenient that the user is getting the Cherry Framework to use. You can access the Cherry Plugins Manager panel by going to “Cherry>Options” in your WordPress dashboard. You can customize almost all the aspects of your theme from here. There are so many options to configure in the Cherry Plugins Manager, all you need to do is explore and get accustomed with the environment there. It’s easy to navigate and the options are well organized. The static area builder is a unique new way of creating custom layouts. 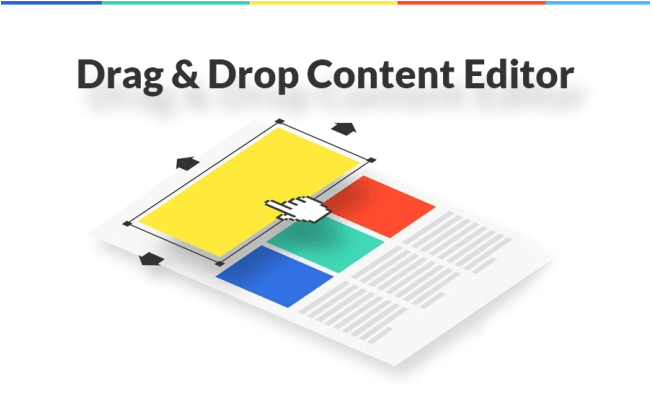 You can place various header and footer elements according your needs with a simple drag and drop interface through the Static Area Builder option. Using the Shortcodes Templater is your editor for the Shortcodes. You can create, edit or delete as many Shortcodes as you want. This is something that will help you a lot in achieving the web-designs that you’ve always wanted. So, this was how you install the theme and get started with the basics of customizing Monstroid. Let’s move a step ahead and put some light on the pros and cons of the Monstroid theme and get a better perspective. See all the super cool stuff that I mentioned above? All that for $79! 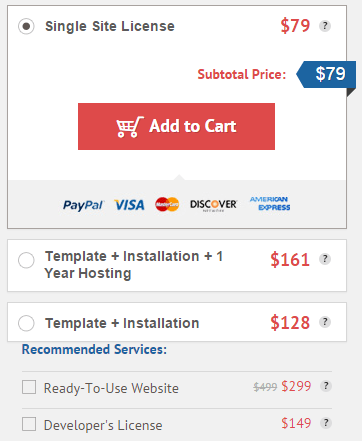 Yes, those premium plugins also, all that, at just the price tags of $79. Now, this is a big deal. This is a single site license, so you can create one incredible website for $79, you do that right and then sky is the limit with Monstroid, WordPress on steroids. Now that you’ve been through what all, the theme is about. Let’s wrap it up by some closing words of wisdom that will help you make a better decision. I’ll be straight forward, Monstroid is not your average WordPress theme and it needs not to be. It is way more than just a WordPress theme, the whole package of the incredible plugins is what we call Monstroid. Since you’re getting some premium plugins in the package that you would not have got otherwise, for free, it becomes a great way to achieve a stunning website on a budget. In a nutshell, if you’re ready to try something that can potentially change the way you look at WordPress designing then Monstroid is for you. 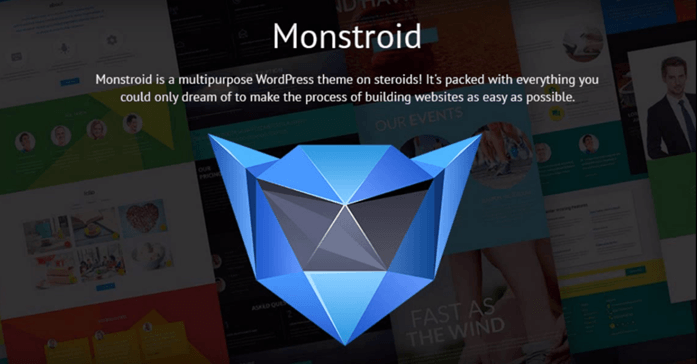 In fact, if you’re just starting up, then start with Monstroid.The Monstroid theme by Template Monster is what you need to thrive in the competitive jungle of the World Wide Web.